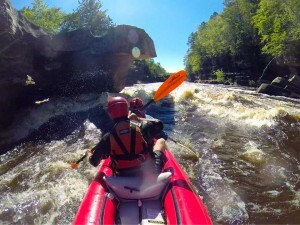 The Kettle River’s most notorious rapid, the Hell’s Gate rapids has a reputation of being a widow maker. Located deep in the heart of Banning State Park, the Hell’s Gate canyon is an adventure just getting there. Anyone wanting to the Hell’s Gate on the Kettle River will have to get there by one of three options. 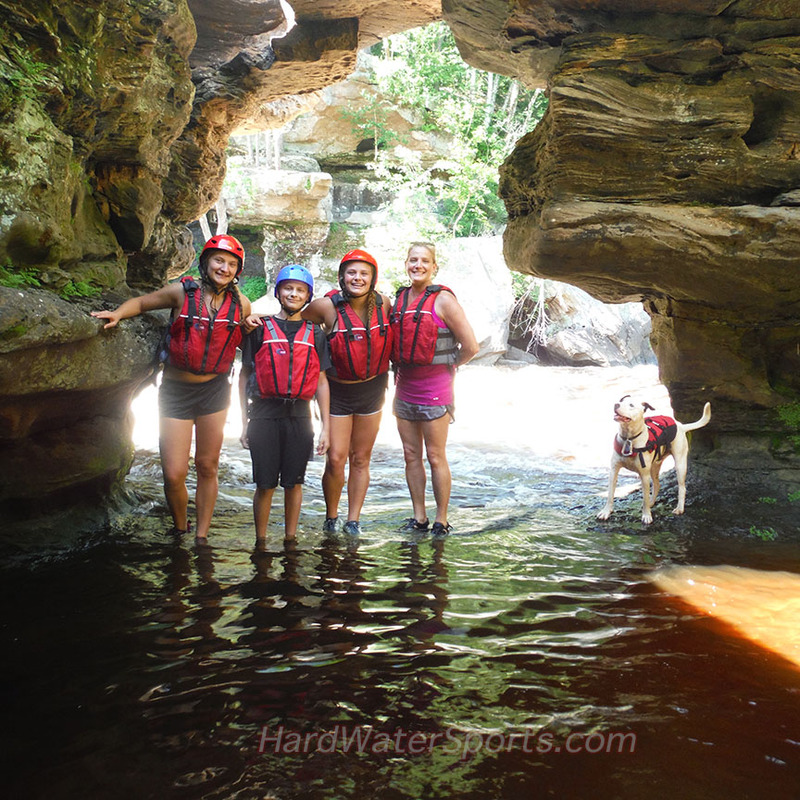 Paddle whitewater, paddle flat water or hike. The whitewater option is the most fun. 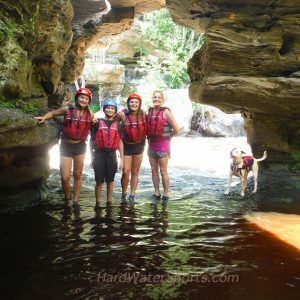 Start the adventure at the top of the rapids in Banning State Park and enjoy the the most beautiful 2 miles of river in Minnesota. If you’re not comfortable paddling class III+ rapids contact Minnesota Whitewater Rafting company, Hard Water Sports. 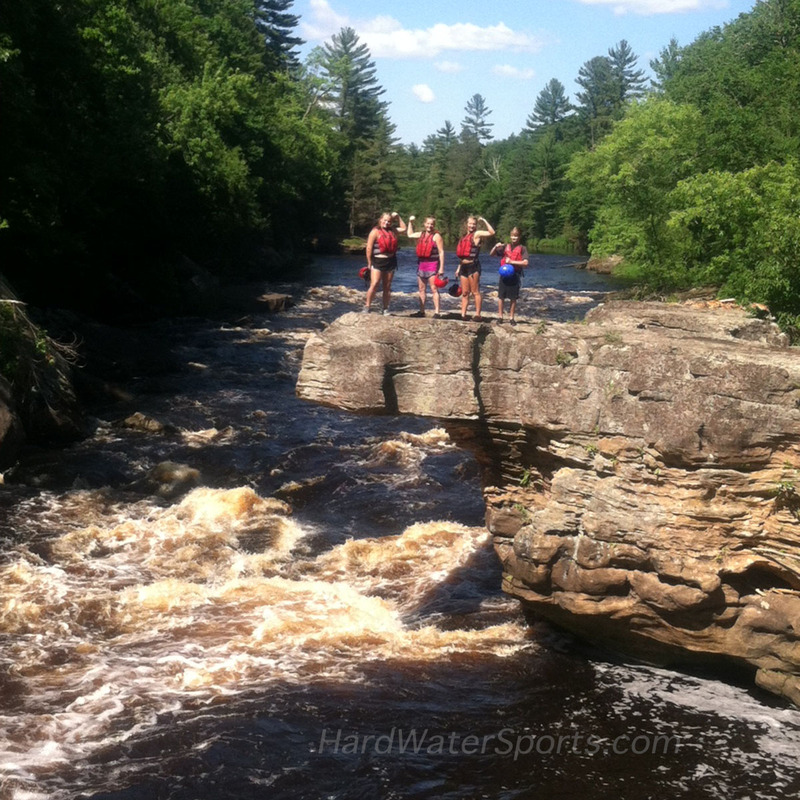 With years of paddling the Kettle River, the guides at Hard Water Sports can provide you with a first class tour. 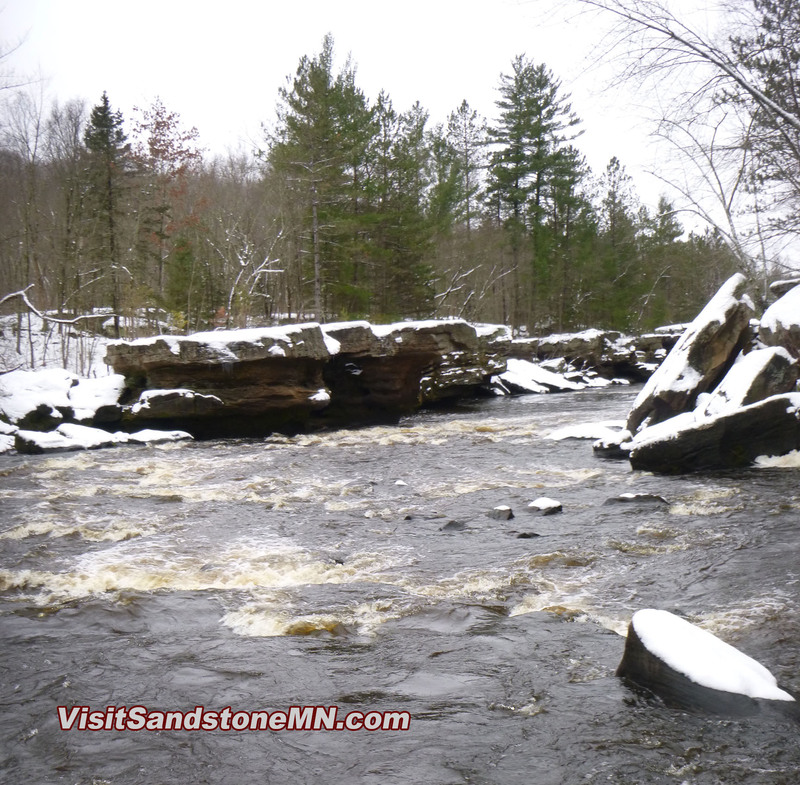 If you want to canoe or kayak on flat water to Hell’s Gate start in Sandstone, Minnesota’s Robinson Park and head up river from the boat launch above the quarry rapids. There is also the option of hiking to Hell’s Gate. The most hikers will go down river the the parking lot in Banning State Park. Following the trails along the west side of the river hike for close to 2 miles. The last couple hundred yards the trail climbs up and down the cliffs before you get the view of rapids and overhanging rock. However you choose to visit the canyon your experience will never be forgotten. Hell’s Gate on the Kettle River is a very special place, some would even say it’s sacred. Hopefully someday you’ll have a chance to visit and see for yourself the beauty of what nature has created.